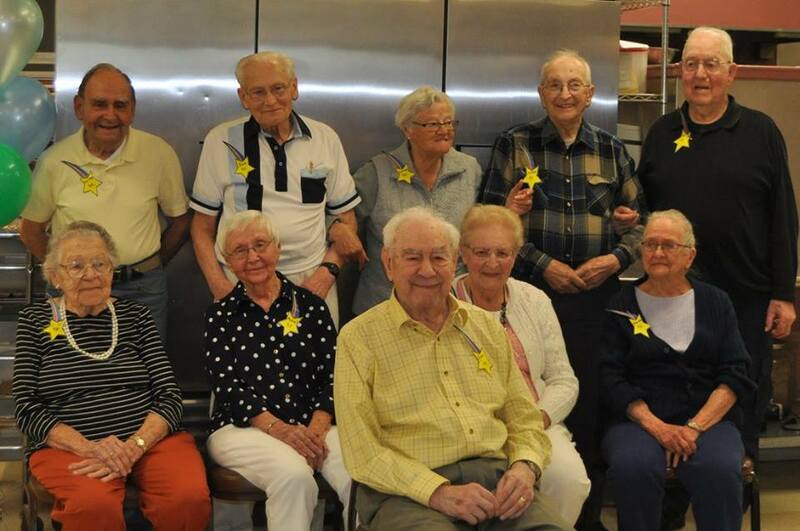 A Surprise Party was held in honor of the Berlin Senior Center Ninety Plus Members with each member receiving an individual cake to mark this special day! Back Row: George Pelchat, Bob Lacroix, Carmen Bouchard, Norman Roy and Chester Corcoran. 2nd Row: Lill Morris, Muriel Bassett, Jeanne Ruel and Alfreda Lacasse. Front Row: The star of the show Earl Bassett at a mere 99 years of age.